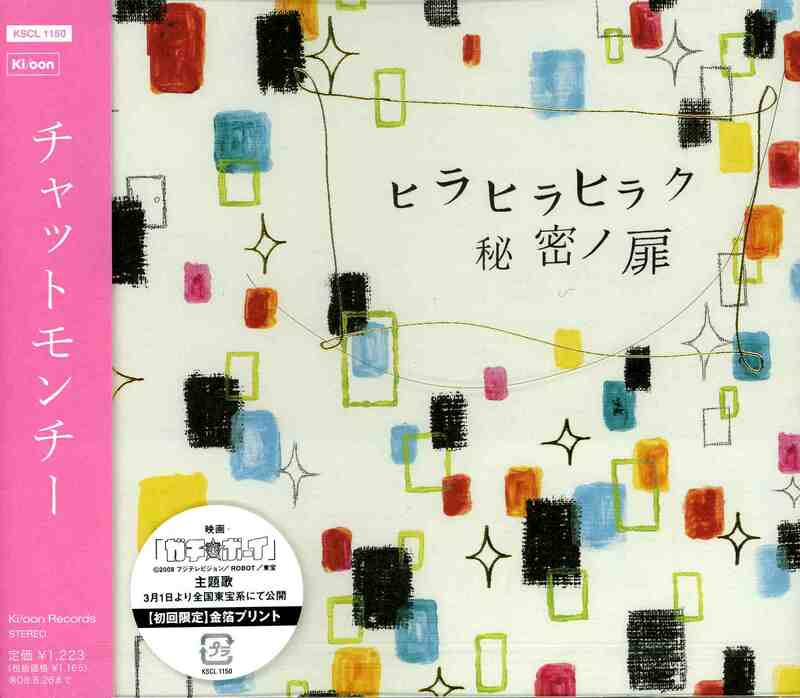 Chatmonchy is an all-female japanese band. Unlike some group like S.H.E and TWINS who depend on their cute face and look to gain popularity, Chatmonchy know at least how to play musical instrument and composed their own music. Beside that , the vocalist has a very cute sound and really melt your heart if u listen to their song. This entry was posted in chatmonchy, Music and tagged ヒラヒラヒラク秘密ノ扉, ヒラヒラヒラク秘密ノ扉 ビデオ, ヒラヒラヒラク秘密ノ扉 mp3, ヒラヒラヒラク秘密ノ扉 pv, ヒラヒラヒラク秘密ノ扉 single, chatmonchy, Chatmonchy - ヒラヒラヒラク秘密ノ扉, Chatmonchy - Hira Hira Hiraku Himitsu no Tobira, direct download, Hira Hira Hiraku Himitsu no Tobira, Hira Hira Hiraku Himitsu no Tobira ビデオ, Hira Hira Hiraku Himitsu no Tobira mp3, Hira Hira Hiraku Himitsu no Tobira pv, Hira Hira Hiraku Himitsu no Tobira single, jrock by mofandom. Bookmark the permalink. yaya they got serious look :)…Girls can rock too^^!!! Hi – is the archive broken? Could not expand it. Thanks for the UP! this archive is not broken… it is like that in wordpress.. Thanks for your reply – I tried to extract the files from the rar with three different programs. Each time a CRC error occurs and only the first song can be extracted. Any chance you could have a look and reup? Thanks for your time and great tunes. I just upload again and replace it with a new one. I think this time u can extracted all the song. 🙂 Monchy ROCKS!!! Thanks so much!! Everything is ok now and I have 3 rocking songs for the weekend!